London is an important financial and cultural centre of the world. The architectural style of buildings adds to its charm. It attracts a mixture of people to come to work and settle down from all over the world. 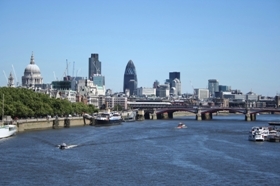 The Capital can be divided into regions according to the locations relative to River Thames, Hyde Park and Regents Park. Public transports are excellent with underground stations and bus services serving the city and its suburbs. It is normally more expensive to buy or to rent a property with original period features than a modern purpose built flat. Price or rent is also greatly affected due to the location of the property. Therefore, the buyer should identify his financial situation before they decide on the location and type of property they are looking for. To find out the price and rent of properties available in this area, you can go to our Lettings or Sales Property Search for details. Alternatively you can register with us or contact us by telephone or email.